Treena dreams of the perfect wedding. When her boyfriend Stan asks her to marry him, she says ‘yes’. But Stan is acting strangely. It seems like he doesn’t want to get married to Treena. So why did he ask her to marry him? Maybe Stan is not her true love. Treena starts to plan the wedding, but everything goes wrong. 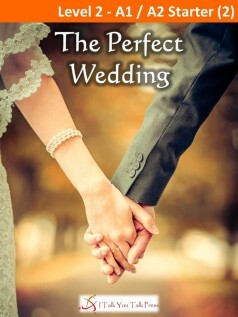 Will Treena have the perfect wedding day she dreams of? And will she have a happy life with Stan?